 Conveniently located in the very heart of Beverly, Massachusetts, The Flats at 131 provides an unparalleled living experience. The Beverly Depot Train Station gives you quick and easy access to experiencing the buzz of downtown Boston and surrounding areas. Our active community makes commuting to work easy on the MBTA Commuter Rail. Stay local and enjoy the exciting shopping, dining, entertainment, and nightlife options that Beverly has to offer. Our community is surrounded by several local beaches including Dane Street Beach, West Beach, and Mingo Beach, all perfect places for enjoying the outdoors. Looking for a taste of culture and great entertainment close to home? Enjoy shows and live performances at the Cabot Theatre right here in Beverly. Visit popular nearby dining hot spots such as Soma, Depot Diner, Fibber McGees, and Barrel House. Kick back and enjoy all the splendor that Beverly has to offer from the perfect city-central location.